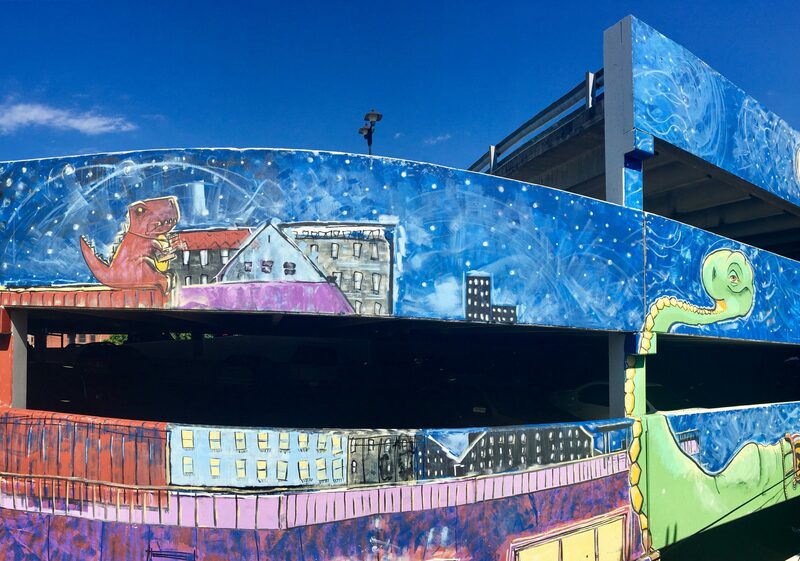 Born out of an initiative to connect some of downtown’s underutilized pedestrian spaces, Dino Alley is now a must-see tourist attraction in the heart of Downtown Frederick. Standing more than 30-feet-tall, it’s a little hard to miss the astrodon johnstoni (Maryland’s state dinosaur… for any of you wondering) who’s now proudly standing on the side of the Church Street Public Parking Garage. 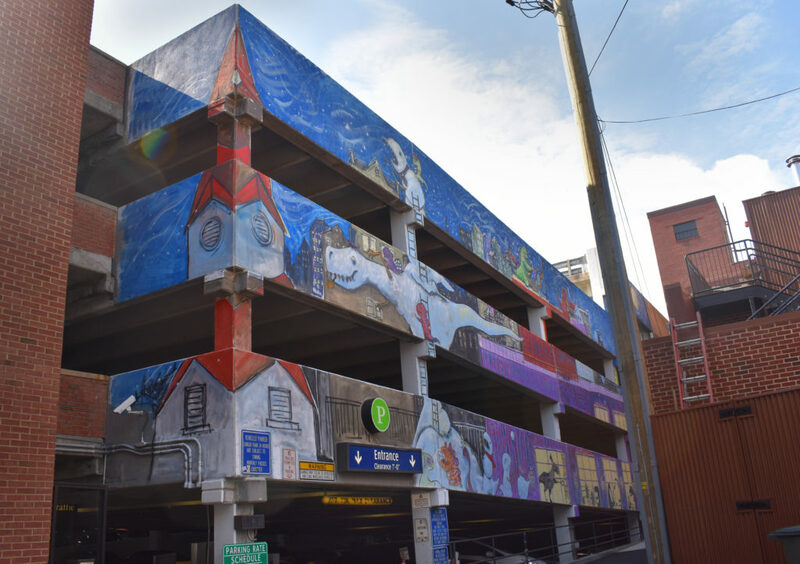 In addition to the colorful mural that stretches from end to end of the garage’s western face, the Partnership also contracted the team at Rick Jones Electric to brighten up the pedestrian alleyway with overhead string lights, which come on every evening to make the popular walkway a more welcoming cut-through in downtown’s busy nightlife district. 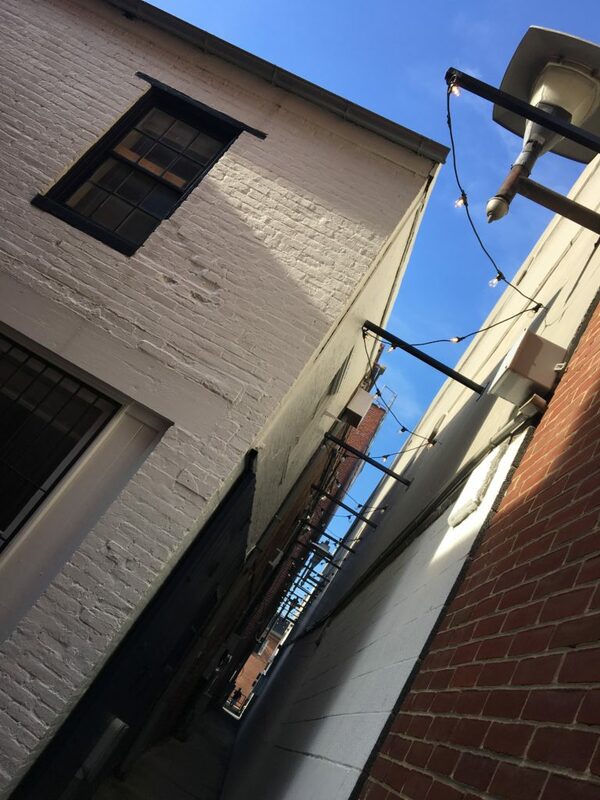 Without question, Dino Alley is a favorite photo opp for tourists, a hidden gem for locals and the most perfect backdrop to a roof-top happy hour at Brewer’s Alley. Stomp through and see for yourself! Downtown Frederick Partnership’s Dino Alley project was made possible by support from Brewer’s Alley, the City of Frederick‘s Parking Department and the State of Maryland Department of Housing & Community Development. 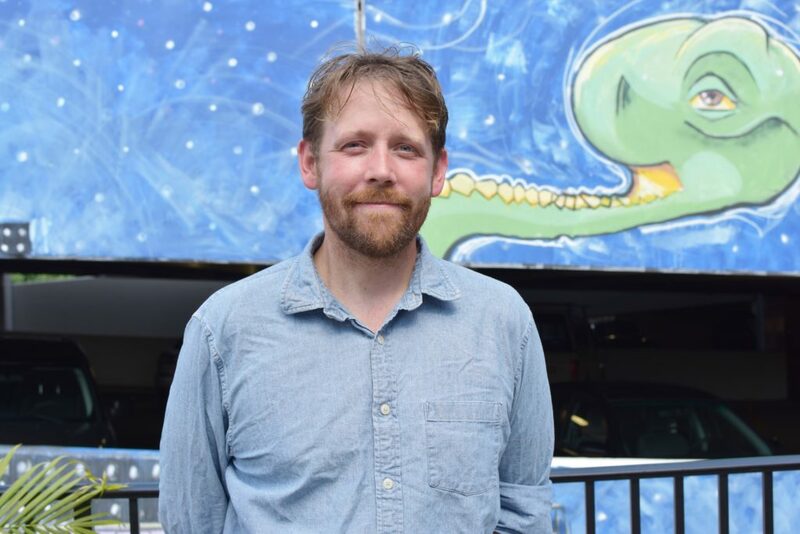 Dino Alley shows a pack of dinosaur friends playing in the snow because winter in Downtown Frederick is artist Goodloe Byron’s favorite season.